Today on Vox Pop, on the first Pets & Vets program of 2013, we welcome Dr. Joseph Glennon of Veterinary Specialties Referral Center, with locations in Pattersonville, Gansevoort, and Latham New York. A board-certified veterinary surgeon, Dr. Glennon founded VSRC over 20 years ago and at the time was the first and only referral center in the region. He received his veterinary medical degree with honors from the University of Pennsylvania, where he was a recipient of the Upjohn Award for proficiency in small animal medicine and surgery. He interned at the Animal Medical Center in Manhattan prior to completing a surgical residency at Cornell University. 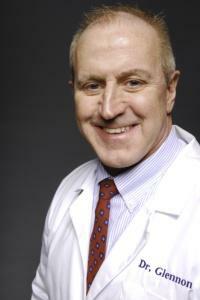 Dr. Glennon is also a adjunct assistant professor in the department of surgery at Albany Medical Center. You can post your questions and comments below, on our Vox Pop wall post on WAMC’s Facebook page, or on Twitter @WAMCVoxPop.